Huge El Nino pushes climate toward records. This year is set to be Earth’s warmest in millennia, according to new data—with profound implications. 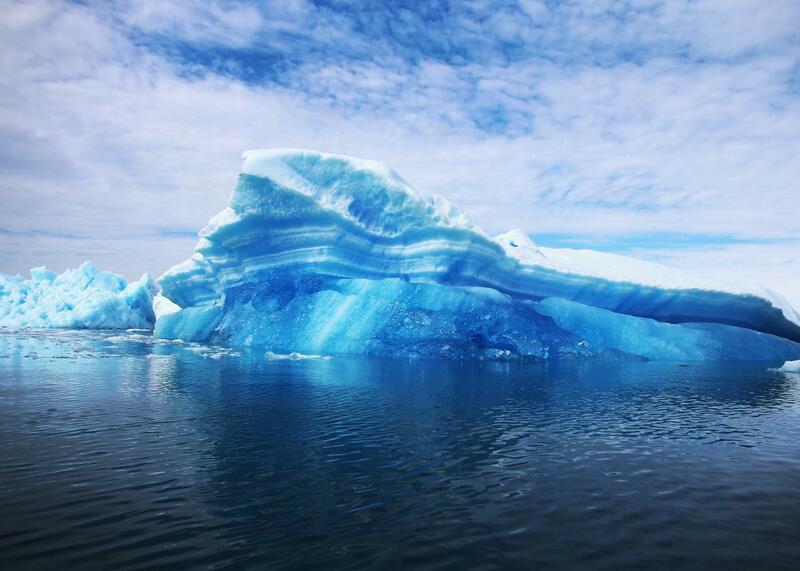 Here, calved icebergs are seen floating on the water on July 30, 2013, in Qaqortoq, Greenland. Over the past few days, a bevy of climate data has come together to tell a familiar yet shocking story: Humans have profoundly altered the planet’s life-support system, with 2015 increasingly likely to be an exclamation point on recent trends. On Monday, scientists at Britain’s national weather service, the Met Office, said our planet will finish this year more than one degree Celsius warmer than preindustrial levels for the first time. That figure is halfway to the line in the sand that scientists say represents “dangerous” climate change and global leaders have committed to avoid—an ominous milestone. This year’s global heat wave—about two-tenths of a degree warmer than 2014, a massive leap when averaged over the entire planet—can be blamed most immediately on an exceptionally strong El Niño but wouldn’t exist without decades of heat-trapping emissions from fossil fuel burning. Separate data released on Monday by the U.S. National Oceanic and Atmospheric Administration showed the current El Niño, a periodic warming of the tropical Pacific Ocean, has now tied 1997 for the strongest event ever measured, at least on a weekly basis. “We’ve had similar natural events in the past, yet this is the first time we are set to reach the 1 degree marker and it’s clear that it is human influence driving our modern climate into uncharted territory,” said Stephen Belcher, director of the Met Office’s Hadley Centre in a statement. If that wasn’t enough, the World Meteorological Organization, a division of the United Nations, also confirmed on Monday that global carbon dioxide levels reached a new record high in 2014—for the 30th consecutive year. The more carbon dioxide in the atmosphere, the more efficient the planet is at trapping the sun’s heat, and so global temperatures rise. Since our carbon dioxide emissions have a lifespan of a hundred years or so, there’s a significant lag in this process—temperatures will keep rising for decades even if all human emissions ceased today. That means not only will 2015 end up as the planet’s warmest year in millennia—and probably since the invention of agriculture more than 10,000 years ago—but that there’s a lot more warming that’s already baked into the global climate system. All that extra heat is already changing the planet in complex ways. For example, as of last week, there’s fresh evidence that the Atlantic Ocean’s fundamental circulation system is slowing down. Over the past few years, a notoriously persistent cold patch of ocean has emerged just south of Greenland in the north Atlantic. There have been several theories as to why this is happening, but most involve a slowdown of the Atlantic Meridional Overturning Circulation, part of the global oceanic “conveyor belt” system of heat and water that helps regulate the Earth’s climate by cooling off the tropics and gently warming polar regions. That weird little cold patch in the north Atlantic has an interesting story. The AMOC is so important that its slowdown has been linked to past episodes of abrupt climate change, like a three-degree Celsius drop in Northern Hemisphere temperatures in less than 20 years about 8,000 years ago, and formed the highly dramatized basis for the planetary chaos featured in The Day After Tomorrow. Earlier this year, an important study provided further strong evidence that melting ice from Greenland has begun to disrupt and slow down the ocean’s circulation by changing the density of the north Atlantic, with profound consequences: In 2009, East Coast sea levels sharply—and temporarily—jumped by about four inches as water piled up. Stronger winter storms and an interruption of the Atlantic marine food chain also may already be happening. According to a new analysis released last week, scientists used data from a pair of NASA satellites to track climate-related changes in the north Atlantic—the first time ocean currents have been tracked from space. Over the last decade, the satellites were able to take highly precise measurements of the literal weight of the ocean between Florida and Iceland that corroborated measurements from a network of ocean buoys over the same general place and time. From that information, they were able to calculate that the Atlantic’s circulation is indeed slowing down, a potential climate tipping point that’s been long predicted to occur at some point in the 21st century. Call it one more data point from a rapidly changing planet. Still, despite the blindingly clear data, there’s hope that the tide could—finally—be shifting on climate change. Later this month, world leaders will be gathering in Paris and are widely expected to agree to the first-ever global agreement to constrain future emissions trajectories in a meaningful way—possibly enough to avoid the worst-case climate scenario.